Cricket is a passion in Kashmir. But it is limited to the players only who despite meagre payments, lack of basic infrastructure, controversies and scams perform beyond expectations against well-equipped and better-trained teams. 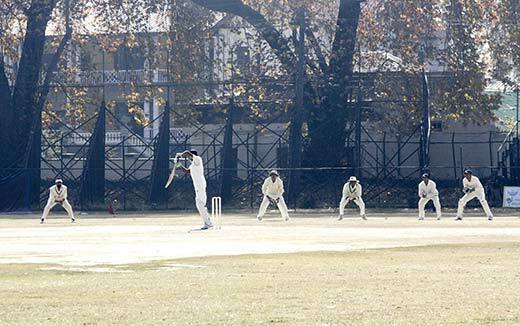 For the “mighty” controlling J&K Cricket Association (JKCA), it seems, cricket is yet another game to make money. For the last few years, JKCA is under scanner for misappropriation of Rs 113.66 crore (including bank interest) received from BCCI between April 2002 and December 2011. Instead of utilizing funds on development of infrastructure, they allegedly swindled the money to live a lavish lifestyle. 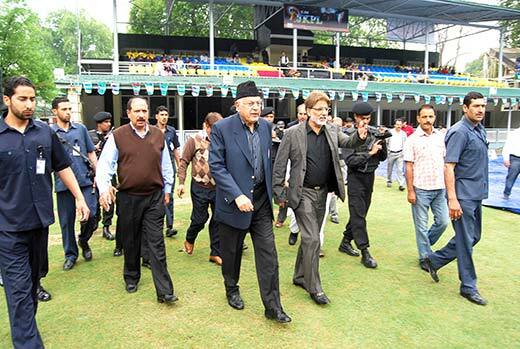 Eventually, BCCI stopped funding and it cost the game at a time when many state players were pitching for a takeoff. The scam came to fore in March 2012 only after JKCA’s treasurer Manzoor Wazir filed a police complaint against former office-bearers, Mohammad Saleem Khan (former general secretary) and Ahsan Mirza (former treasurer) — who according to Wazir, still run the show. What shocked everyone was the list of around 50 individuals, submitted by the SDPO Nehru Park in its detailed report (now flood-drenched), listing them as beneficiaries of “interest free loans” given by the JKCA. Beneficiaries were either office-bearers of JKCA or their acquaintances. Take for instance Ashutosh Sharma, ex-treasurer, who was given an interest free loan of Rs 58.91 lakh in 2003 and has failed to repay it till March 2012. No effort was made to recover the said money either. In 2002, two office-bearers of JKCA namely Mukhtar Ahmad Kant and Mehboob Iqbal (bureaucrat-turned-politician) took loan worth Rs 13.34 lakh each from the association funds, which they didn’t pay back. As per the police investigation report, available with Kashmir Life, there are two balance-sheets available for the same year (2001-02) prepared by JKCA and authenticated by Gullani and Majid Chartered Accounts on different dates: June 15, 2002 and October 3, 2002. The figures reflected in these two balance-sheets are not only confusing but contradictory too. While the first balance-sheet shows Rs 2 lakh outstanding toward Ashutosh Sharma (ex-treasurer), the second one shows an additional Rs 58.91 lakh outstanding toward him. There is no mention of how such a huge sum was given to Sharma as loan or with whose consent! And why there are two balance-sheets for the same financial year, with one showing Sharma owing JKCA Rs 58.91 lakh and other just Rs 2 lakh? Apart from office-bearers of JKCA, the loan facility was also extended to businesses as well. The investigation revealed that M/S Ashia Constructions owe JKCA an amount of Rs 1.50 crore, which police believe was given to them as loan. Another big beneficiary of this “interest free loan scheme” was M/S Construction Engineers who were given Rs 1.06 crore. In both the cases, money was neither recovered by the JKCA nor was there any effort made to recover the same. Similarly, Shuban Lal Trakroo (accused No 7 in police FIR), a JKCA working committee member, took a loan of Rs 20 lakh out of JKCA funds. Also, Javeed Ahmad Kitab (accused number 8), took Rs 65 lakh in cash from the association funds in 2009. Both men have failed to repay their loans till now, the investigations suggest. In 2002, Gulzar Ahmad Beigh (accused No 9), a serving government employee in Mechanical Engineering Department, was appointed office clerk in JKCA despite being a government employee. He got himself retired voluntarily from government service a decade later in 2012. Interestingly, Beigh drew over Rs 3 lakh from JKCA funds as salary in addition to his government salary. But he isn’t alone who was living dual life and enjoying dual benefits in scam-infested JKCA. Bashir Ahmad Mir (accused No 10), Assistant Executive Engineer (R&B), made a withdrawal of Rs 3.88 lakh as salary from JKCA for his services as civil engineer between and 2010 and 2012. After availing “loan”, some of the JKCA officials invested funds in Jharkhand and other parts of India, mainly to acquire coal blocks. Perhaps the case of erstwhile JKCA treasurer, Mir Manzoor Gazenfer of Pandrethan, is worth considering. An hotelier, Gazenfer is accused No 3 in the FIR. Shortly after the scam surfaced, he told a Mumbai-based newspaper that he and another accused Ahsan Mirza (an ex-treasurer) invested in an iron-ore mine of Meghalaya’s capital Shillong in 2008. However, he told the police investigators that he had invested the money he got from JKCA in a business in Rajasthan in partnership with Mirza, a close confidante of Dr Abdullah, who even got into the Muslim Wakf Trust as a member. But FIR indicts him for adjusting old expenses to the tune of Rs 29 lakh without vouchers and bills. During Gazenfer’s tenure as treasurer, two accounts remained non-reflected in the balance-sheets, besides, extra outstanding of Rs 1.30 crore in his name as per the acknowledgments seized by the police. The same FIR books his iron-ore partner Mirza for creating and operating bogus bank accounts. The ageing flamboyant leader, however, has already admitted that JKCA office-bearers might have misled him while preparing the documents. Investigators also found an account in the Centurion Bank of Punjab in Jammu — later merged with HDFC Bank — in the personal name of one Ramesh Mahajan (accused No 6), with the address of the cricket association office in Gandhi Nagar, Jammu. Around Rs 20 lakh has allegedly been swindled through this account, with no explanation coming from office-bearers. Mirza also opened an account in the bank, transacted Rs 4.6 crore upto 2009 and closed it subsequently, the investigators concluded. This apart, the office-bearers also allowed defaulters to retain the amount for years together, advanced during previous years, and even after demitting office. For instance, the tainted ex-treasurers Gazenfer as well as Mirza along with two other office-bearers were given loans worth Rs 4.05 crore, without making it part of the balance-sheets. But once rot in state’s cricket body surfaced in 2012 spring, the police was put to task, swiftly. The team was headed by a Dy SP rank officer, operating from Nehru Park. After twists and turns, the final detailed investigation report concluded that huge amounts were allowed to remain in the hands of individuals over a period of time against secured over drafts, putting the association to heavy loss. The investigating officer said loans provided to its functionaries weren’t admissible even under JKCA rules. These huge amounts, investigators revealed, were drawn against secured over draft against payments of huge interests and allowed interest free to benefit the close office bearers at the cost of association interests. With this finding, the next inevitable move was to seek answers from the man leading the JKCA, an action that is yet to take off. Cops ended up citing their failure to act on the money trail because they weren’t allowed custodial interrogation of Dr Farooq Abdullah and other members of the association. The FIR charges 10 people including Dr Abdullah in FIR No 27/2012 under Sections 406, 168 and 120-B of the RPC for making the JKCA a lending agency and for operating many bogus accounts. While getting Dr Abdullah to respond to the questions raised during the investigations might have been embarrassing because he was a cabinet minister in Delhi, police even skipped interrogating nine others! It might have shocked the two accused who had secured anticipatory bails for them but nobody knocked at their doors. Police even conveniently skipped challenging the bail, a normal process under the law. “…despite the court order and a request made to the IGP Kashmir and IO, some important records like Cash Book/ Day book have not been made available to the Probe Committee in absence of which a concrete report is not possible,” interim report of In-house Committee, in possession of Kashmir Life, revealed. But once out, the issue made major headlines and set the TV screens on fire for many days. But nothing much happened. In the scam-stricken JKCA, however, it was the gentleman’s game that suffered a huge setback. For instance, the infrastructure was badly hit — much to the chagrin of the budding cricketers. 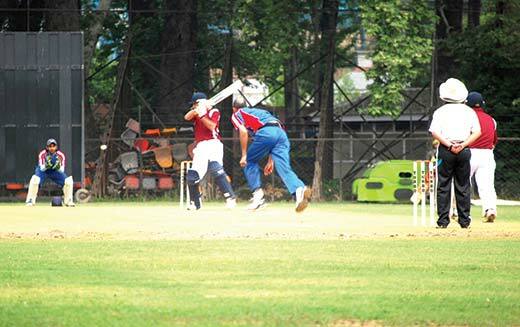 However, even then, the JKCA office-bearers unashamedly show an amount of Rs 5.53 crore as expenditure (in 2009-10 ) on different infrastructural activities related to upgradation of sports facilities in Jammu and Srinagar, like GGM Science College Jammu, pavilion block/building and plinth for proposed cricket academy at SK Cricket Stadium Srinagar. Police investigators said they had requested last NC led coalition for the services of an accountant which they never got. Police have again requested PDP led coalition for the same. Amid all this, the investigations revealed that Ahsan Mirza, accused No 2, would frequently withdraw huge amounts in cash from banks. The banking norm is that banks refuse paying in cash if it’s worth is more than Rs 50,000. Though Rs 1.9 crore was availed by Mirza under the orders of Farooq Abdullah, the accounts / balance-sheets don’t show it. Perhaps, it speaks about the influence of the man! And it was his same influence in JKCA that even after leaving the office of treasurer, he still controlled financial matters and didn’t hand over bank records and other documents to the new treasurer. Now the High Court in a PIL has served notice to 80-year-old NC president Dr Farooq Abdullah. And with that, the case is back to the centre-stage. The ageing flamboyant leader, however, has already admitted that JKCA office-bearers might have misled him while preparing the documents. He defended the amount handed over to Mirza, saying he was actually repaying the loan Mirza had lend to JKCA to meet its daily expenses in 2007, when its accounts were frozen by the court. But investigators have a different line. They have concluded that out of Rs 89.92 crore received between 2008 and 2011, Rs 28.39 crore were swindled excluding the interest. With Dr Farooq heading JKCA in 2009, an amount of Rs 7.21 crore received from the BCCI was deposited in an unauthorised account of J&K Bank’s Khanyar branch and later transferred into FDRs and loans were raised against it. The bank later adjusted these FDRs as those who took loans against them turned defaulters. In the same year, Rs 19 crore received from the BCCI were deposited in the official account. But on the same date, Rs 4 crore were withdrawn from this account, which remains untraced. In 2010, out of Rs 22.11 crore received from the BCCI, only Rs 4.93 crore were deposited in the official account and rest Rs 17.18 crore remains untraced by the investigators. The entire amount of Rs 26.29 crore received from the BCCI in 2011 finds its place in the official account of JKCA in the Air Cargo branch of J&K Bank. 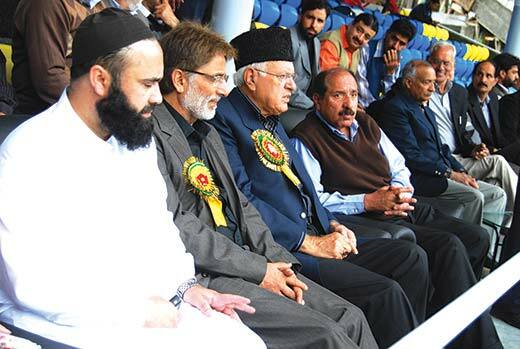 Now, it is obvious that ruling PDP is unlikely to go against Dr Farooq Abdullah. They needed the scam to play during elections and they did it successfully. But the party has its own priorities – to manage its men walk out of the ‘game’. The process stands set in motion. Some even in the governing structure see the cricket crisis as an opportunity to get into JKCA. But it all depends whether the umpires can see the foul play and prevent a fixed match! 1) The audited accounts like a Balance sheet, Income & expenditure Account & accompanying annexures must always be read along with the auditor’s report thereon & not in isolation. When the audit of J&K Cricket association for 2001-2002 was conducted, the association, we were told, was practically divided in two wings i.e Jammu & Srinagar wing. The Jammu wing had adopted a total non-cooperative attitude and didn’t send its financial information to Srinagar for preparation of a consolidated Balance sheet. Accordingly when the first balance sheet was prepared, virtually no information on expenditure in Jammu was available with Head office at Srinagar. So much So that Jammu wing, in contravention of rules, had appointed a separate Auditor (M/s Garg & Co- if our memory serves us right). Accordingly the balance sheet at Srinagar was prepared only in respect of financial transactions in Kashmir province. The same was authenticated on 15th June 2002 and a very adverse report was issued by us on the state of affairs of the association. Subsequently the association approached us again (Probably the Cricket Control Board of India had taken a serious view of our report) with some information regarding expenditure at Jammu which had been audited by M/s Garg & Co (Due to old record names etc. are subject to confirmation) which we incorporated in the earlier accounts and prepared a composite revised balance sheet as required by law and authenticated by us on October 3 2002. That is why the figures in earlier balance sheet & revised balance sheet differ. To a layman the figures appear confusing while infact they are not. The facts & circumstances leading to revision of the earlier balance sheet have been clearly stated by us in our report accompanying the said revised audited accounts. 2) As far as question loans raised by your reporter is concerned, it must be noted that the association has not given any loan to any office bearer as understood in the ordinary course. In fact these office bearers are given advances for conducting various tournaments like under -19, under -21 cricket tournaments etc in & outside the state. After completing the tournament, the official is supposed to render the account of expenditure for adjustment in books of accounts.But When these officials fail to render the accounts of advances along with vouchers etc., these remain unadjusted in the books of accounts and are reflected under the head “Loans & Advances” in the balance sheet.